I've been trying to post for days but the weather has been gray, gray and more gray with cloudy, dark skies not very conducive to photo ops. Luckily today I managed to squeeze in some pics during a lull in the deluge! I havent been knitting as much as I'd like cause this rain is wreaking havoc with my wrists and achy wrists = pain = less knitting but I've finished the back and am just past the ribbing on the front. 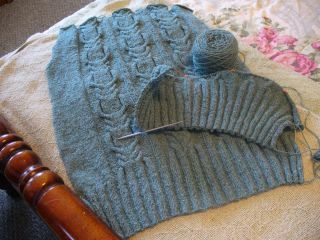 I LOVE LOVE LOVE how this is shaping up and I enjoy every minute of knitting with the amazing Silky Wool. That Elsebeth Lavold knows her yarn and her cables, that's for sure! I've also made lots of progress on the entrelac socks, see? What's really surprising to me is all this sock knitting has been done with ONE skein of Lorna's Laces!! And I still have yarn from the first skein left to use! 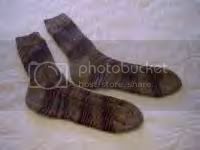 These socks are average size....my standard woman's six inch leg and the foot is 9 inches for a woman's size 7.5 - 8 shoe! 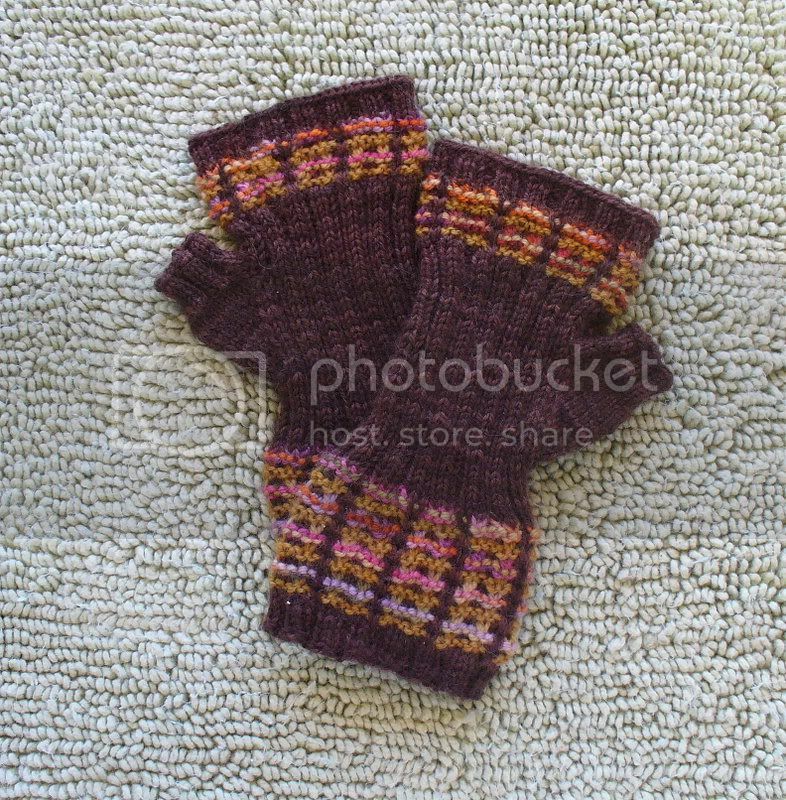 I've knit this pattern twice before but I never realized how "economical" entrelac socks can be! Hope your day is brighter and dryer than ours and filled with lots of great knitting! See ya! Love the socks. 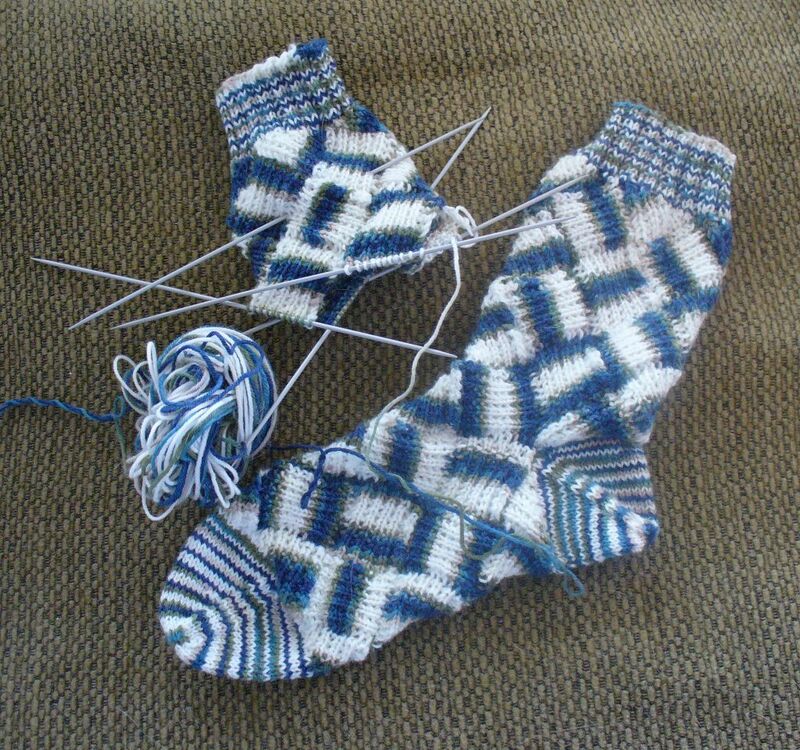 I keep wanting to try entrelac socks. okay. you got me. Those socks ARE very pretty. 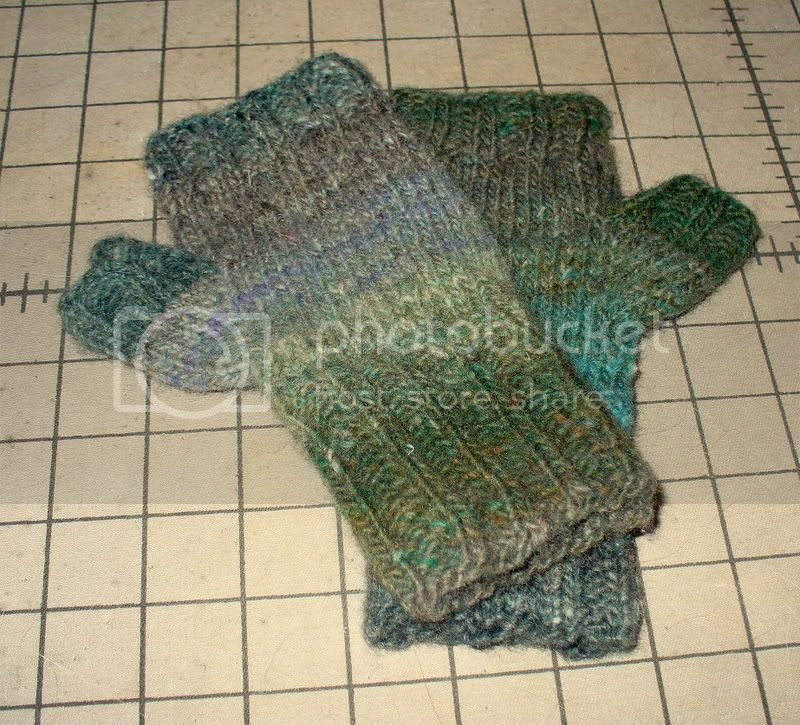 so I guess I don't like the KNIT of entrelac, but the LOOK aint half bad. Oh I love those socks! In fact they may be my favorite socks ever! 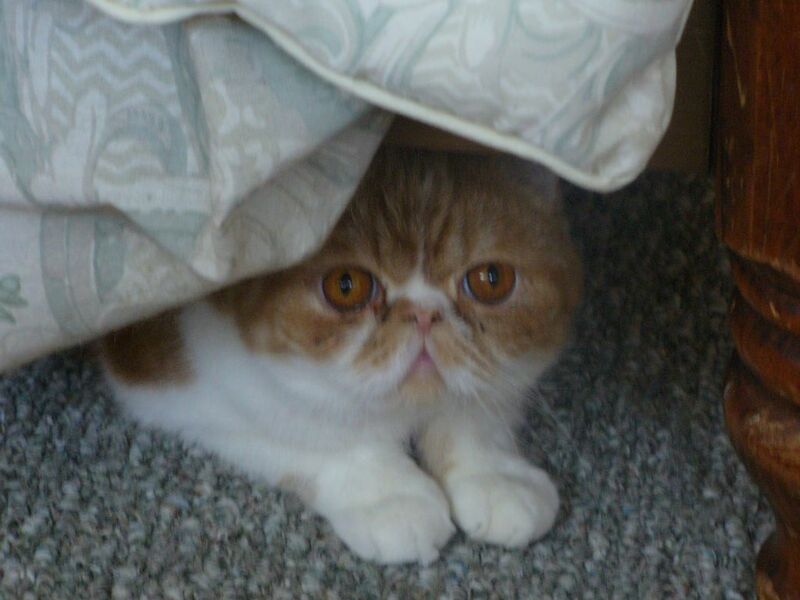 And how do the animals know when something bad is going to happen to them, Abner is the same way with his nails. Oh wow, the color of your socks is lovely! I love them. Some day I'll make another pair of those. 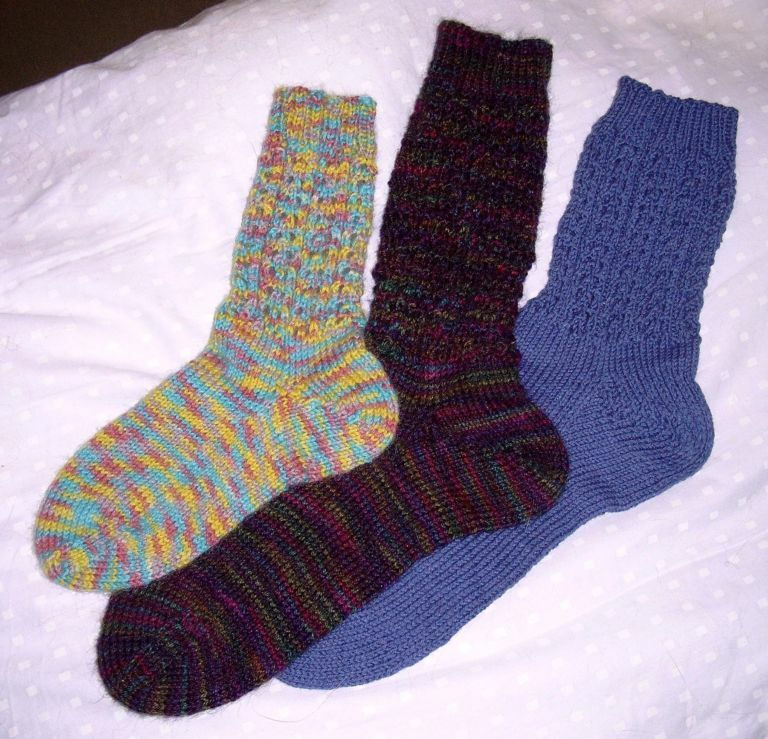 I have about 4 sock patterns in mind right now, one is that of patchwork socks, real cute too. I wish I could knit faster! Your P-man is clever! I'm loving the sweater!! And the yarn looks great with the entrelac. In my experiences with Lorna's Laces Sheppard Sock yarn, I am always able to knit a sock and a half before needing the second ball. I wear an 8-8.5 size shoe. I know we talked about how easy those socks are to do, but I'll never be convinced until I actually TRY it! And Ruben is drop-dead gorgeous: color, cables and execution. The song.... from blue crush soundtrack??? Weapon of Choice is my preferred Fatboy Slim song. Love that song! The sweater is coming along beautifully! The only thing I've made with the Silky Wool is a shawl, but I definitely think a sweater is in my future. It's so soft that I think it would be fine next to the skin. Can't wait to see it finished. I love how Ruben looks in the silky wool! Beautiful! One skein? That's great! Besides ... that entrelac really makes interesting looking socks. It's great to have a KAL on Forest Path ... just that I haven't been a host before ... what should a host do? Catch the P Man in the afternoon, at "universal kitty nap time" for nail clipping. A sleepy cat is a cooperative cat! I'm sorry to be a pain but I reeeeaaally would love to know what pattern you're using for those entrelac socks. 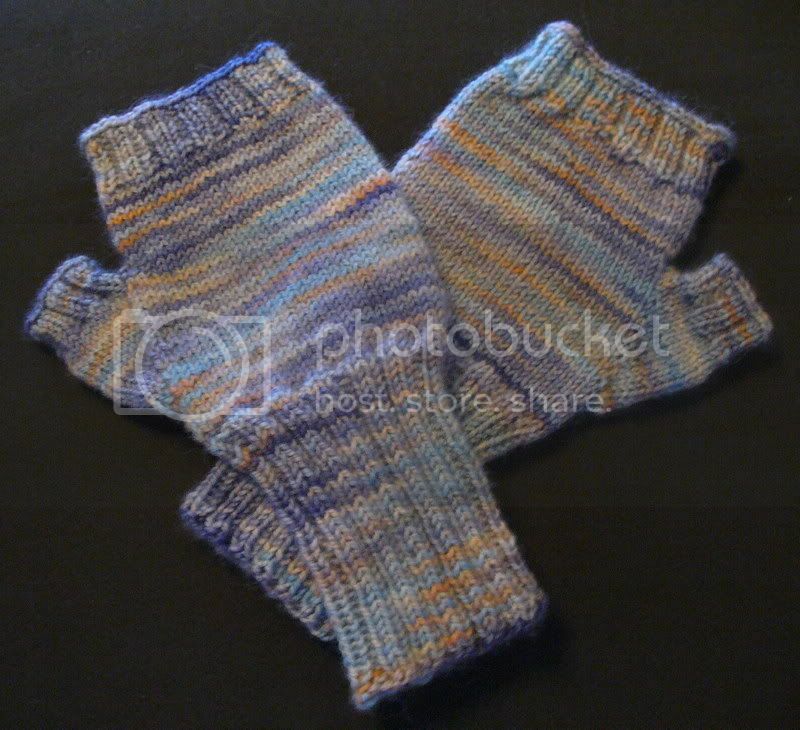 I love the way that first sock came out and my mind won't rest until I can try one myself. I just recently found your blog (and I love it) and it might take me a while to find the pattern in your archives. Please help a knitta out. Thanks. That's one of the cutest pictures of P man ever. One of my smiles for the morning. Give him a hug for me. Love the socks! Mine have been on hold for other insane projects. Can't wait to get back to them, especially now that I see how really cool yours are! Ooooh, I'm really loving the sweater. The cables are fantastic. Sunshine and Jordan both dislike the whole nail clipping thing. I think it's pets round the world united against nail clippers in general. Nice! I got my paws on some EL Silky Wool & the yarn is just a dream! I'm picking up a little on my yarn snobbery ;) Lovely sweater! Does that work up to a lightweight(y) garment? What can I say? 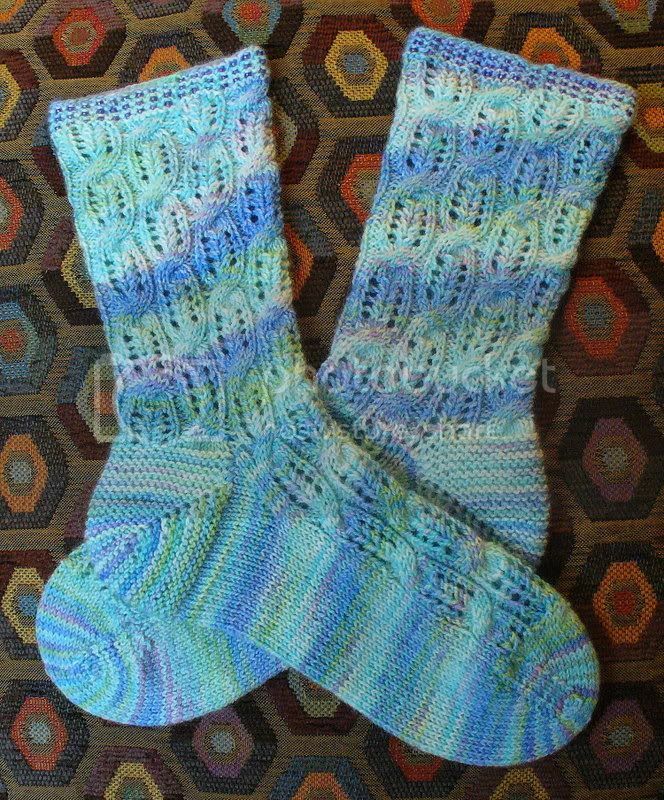 Entrelac socks scare me a little, but I know it's a piece of cake for you. They're beautiful. Those socks look great!! I love how the striping looks with the entrelac. Cool. 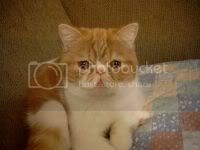 Oh and my cats hate to be clipped too and hide when they see the nail clippers coming. Ruban really looks great. I do like a lot of Elsebeth Lavold's patterns. 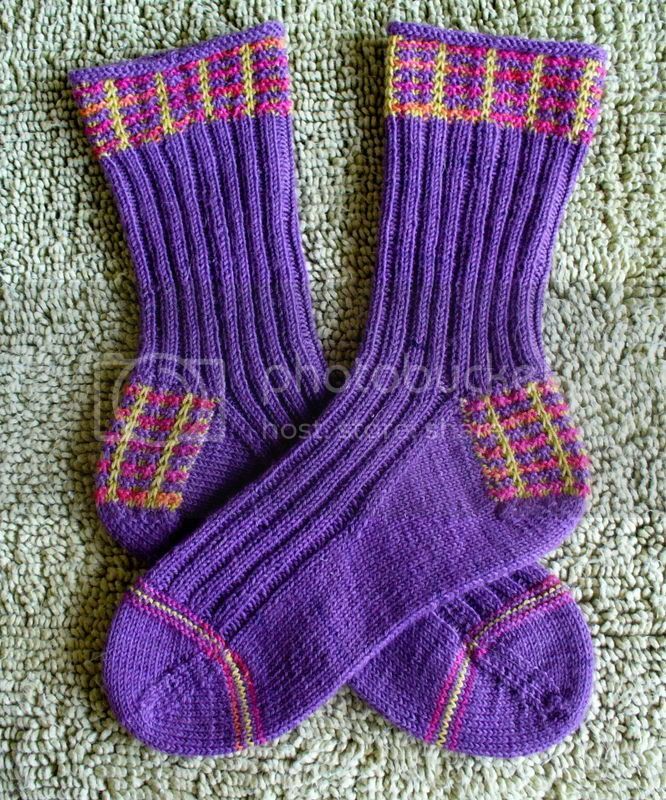 Those entrelac socks look wonderful. That's amazing to me that it uses up less yarn too. I'd almost be interested in trying it. The sweater and socks are beautiful. P-Man, as always, is precious. I turn Tigger upside down on my lap and cover his eyes. He doesn't move a muscle except for his swishing tail. Ooooh, the cables and yarn on the sweater are just gorgeous. And so is the sock. P-Man is such a cutie! I LOVE those socks! I want some.